Students will answer questions about the different kinds of teeth and how to keep teeth healthy. Humans have two sets of teeth in their lifetime. We grow milk teeth as babies, which fall out and are followed by our adult teeth. - Our front four teeth - the incisors are used for biting and cutting. - The sharp, pointed canines are used for tearing. - Flat topped molars grind and crush our food. Our bodies start the process of food digestion by chewing food up into small pieces before swallowing it down into the stomach. We must take great care of our teeth all through our lives because micro-organisms in our mouths can damage teeth and gums by causing decay and painful gums. What are the teeth called which appear when humans are between 3 and 6 months old? Permanent, adult teeth should last how long? There's only one correct answer! What job do the flat-edged incisors do? 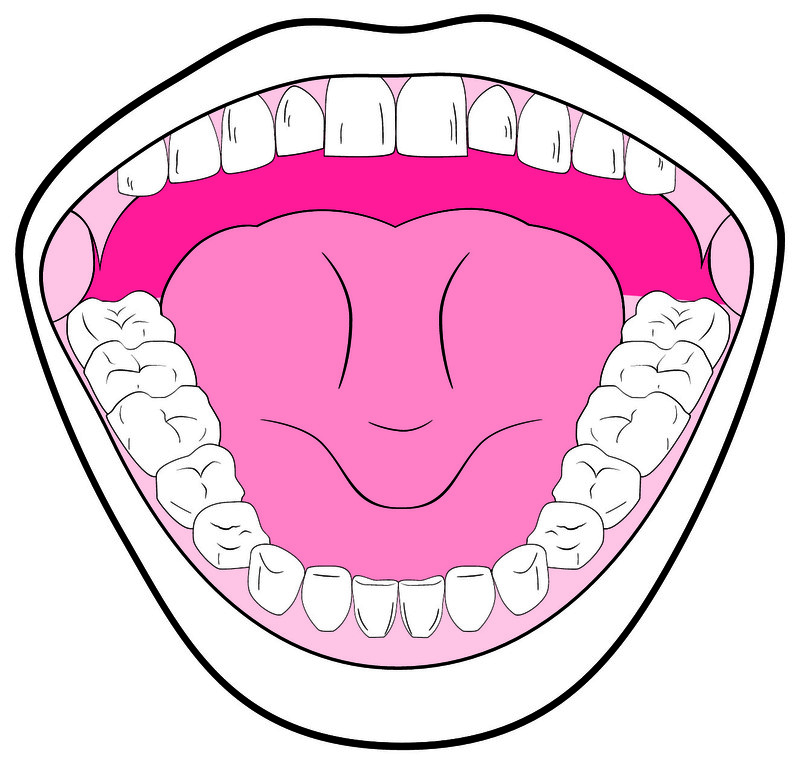 The large, flat-topped teeth towards the back of our mouths have which scientific name? Pointed and sharp, which teeth are shaped for tearing and piercing? Micro-organisms in our mouths turn sweet foods into acid which causes decay and gum disease. This build-up of bacteria can be seen as a sticky white substance coating dirty teeth. What do dentists call this goo? Toothpaste containing fluoride is most effective because it helps strengthen teeth. How many teeth do adults usually have? How are teeth fixed into the jawbone? Our milk teeth fall out from about the age of six and are replaced by permanent, adult teeth. With proper care, a healthy lifestyle and a balanced diet, permanent teeth can last a lifetime! Think about eating an apple. We use our incisors to bite off a chunk. That chunk of apple has to be ground and crushed into smaller pieces before swallowing. That's the job of the molars. Canines are not so important for humans as they are for some other animals, especially meat-eating carnivores, eg cats. As well as tooth decay, gum disease is also caused by plaque. The acid it produces attacks the gums and can loosen healthy teeth so much that they fall out! Fluoride is a chemical added to toothpaste to make it more effective at fighting decay. The part of a tooth we can see is not the whole tooth. Teeth have roots which fix them into the bone of the upper and lower jaws.